Our new drone video of the Hondon valley is now up and live. Shot about a month ago (early May 2016) we have already had 7.700 views on our facebook page. Wij zijn zeer verheugd te mogen aankondigen, onze samenwerking met een van de meest gerespecteerde en gevestigde bouwbedrijven van de Costa Blanca en hun nieuwe lijn van off plan villa’s met div opties. Hondon Valley Homes is als een van de weinige agenten uitgekozen om deze bijzondere niewe villa’s in de markt te zetten. Er zullen zich hier in de komende weken / maanden bijzondere ontwikkelingen voordoen wanneer de off plan projecten van start gaan. Hou de “Latest Villas ” section op de website in de gaten, de villa’s zullen hier als eerste geplaatst worden. We are very excited to announce a collaboration with one of the most respected and established builders in the Costa Blanca with their new range of off plan villa options. Hondon Valley Homes are one of the very few agents selected to market these stunning new villas and there will be some very exciting developments in the next few weeks/months as new properties and off plan projects are made available. Keep an eye out in our latest villas section of the website as the villas will be listed here first. As 2015 draws to a close and we look expectantly towards 2016, I thought I would just have a look at some of the statistics from this record breaking year. Since we started we have increased turnover substantially year on year, however this year has even proved shocking to ourselves in the number of clients looking to live in this wonderful part of Spain. Traditionally sales slow down in August as thoughts turn to much deserved holidays, however this year was busier than ever....... leaving little time for a break ourselves, however with 300+ sunny days per year, easy access to the beach and the pool make our necessity to travel somewhat less. The normal diverse cosmipolitan mix of clients graced our business this year and the mix is almost identical to last years figures. The British clients have benefitted from the Sterling to Euro rate has been resolutely high this year averaging £1 = 1.40€ for most of the year. Great news for British clients who made up 30% of our business this year up from 25% last year. 5% Other (Americas, SE Asia, Norway). There have been a few more surprises in 2015. Normally the number of clients slows down as we head towards the festive period, however our diary is booked with clients throughout and the week between Christmas and New year is nearly fully booked already. We already have bookings as far in advance as May 2016! 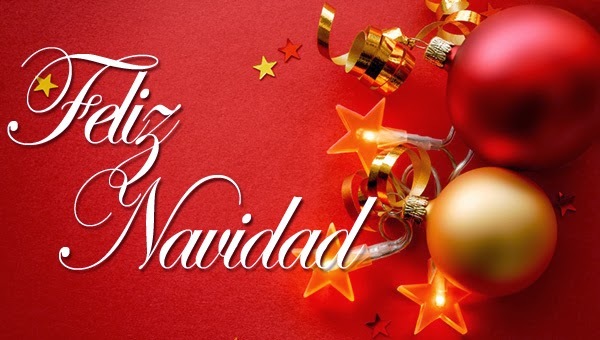 With many north European countries celebrating Christmas in early December, the British late December and Spanish in early January.... Christmas is a spread out affair for most of our clients..... We celebrate all of them. We added a new team member Christina this year who has proven herself immediately with clients. Fluent in Dutch, Spanish and English she has proven to be a real asset to the business as reflected in the glowing testimony of her clients. She firmly believes in our ethos of being open, friendly, informative and most importantly listening to our clients needs. We were featured on the BBC1 show Escape to the Continent where 3 of our properties were chosen out of the four featured on the show and we obtained the only offer. We hope to be filming another property show in 2016.... so watch this space. We hope that the exchange rate will continue to remain around the 1.40€ to the £1 for the benefit of our UK clientel. We urgently hope that more clients will decide to list their villas for sale as we have sold more than listed this year. We hope that Christina, the latest edition to our team will continue to prosper and we hope to meet as nice a group of clients this coming year as we have this year. We have a great team at HVH and collaborate closely with a trusted network of Lawyers, Bankers, Architects, Builders, Handymen, Gardeners and administrators and we pride ourselves in going above and beyond what is expected of us on behalf of our clients. 2016 looks like being a great year in this sunny, peaceful corner of Spain....... why not come and join us? 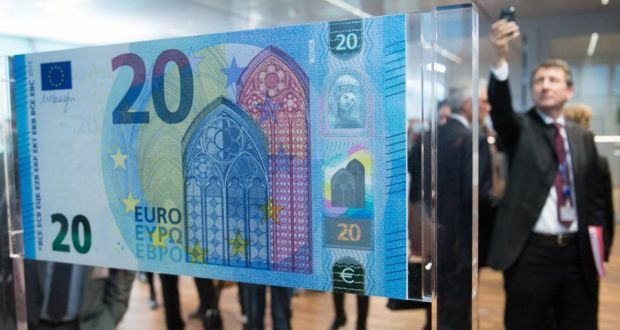 THE new-style €20 note will be in circulation in Spain from Wednesday this week, and will reflect the design of the recently-introduced €5 and €10 banknotes. This includes a watermark, and a 'window' with a portrait in it when held up to the light. The new €20 note is the third in the series and, gradually, all denominations will be replaced across the Eurozone – the next will be the €50, the €100, the €200 and then the €500. But the impact of the new €20 will be greater, since it is the most-used note in Spain and, in fact, in Europe as a whole, meaning a very high quantity of them will need to be stored in cashpoint machines. Shops in Spain have had to adjust their anti-forgery checking machines to ensure the new €20 will be recognised. In the meantime, although teething problems may occur, shopkeepers will do their best to minimise them and the 'old' €20 notes remain legal tender. The Costa Blancas hidden gem ! This is a fun and lively look at Alicante city. Its more than just an airport. 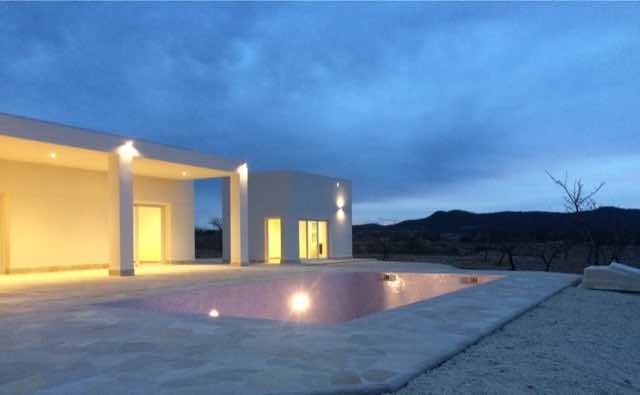 The most beautiful of villas is now for sale close to the pretty town of Pinoso. The early signs for 2015 are looking very promising. 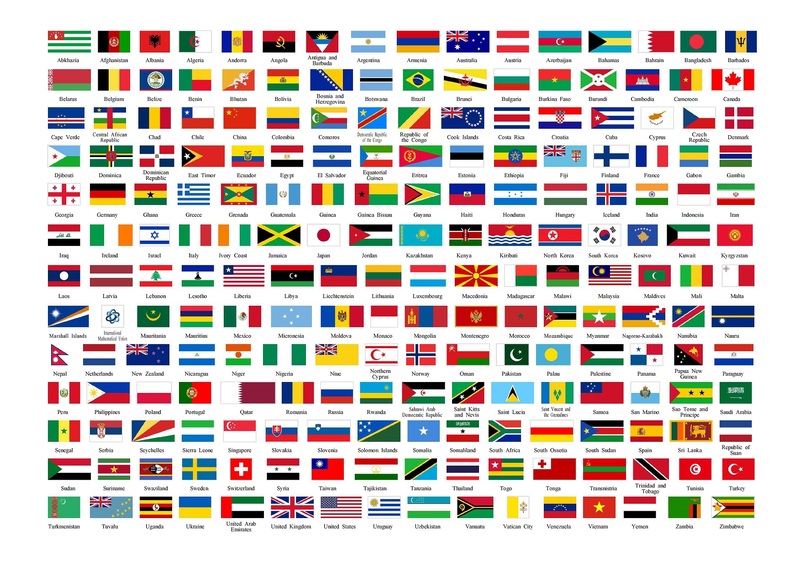 Movement in the foreign exchange rates are helping Sterling clientele with affordability and we are seeing increasingly strong interest from northern European countries and increasing interest from Scandinavian countries. As I write this we have agreed sales on 3 villas already this month with a couple more in the pipeline which will finish January with close to a million Euros in sales which is a record in this traditionally quiet month. Our new and innovative advertising campaigns have been proven worthwhile and Hondon Valley Homes yet again leads the way in adopting a more modem and proactive approach to selling properties. Long gone are the are the old methods of selling properties favored by traditional agencies stuck in their ways and a new more modern customer focused approach to finding the right property is paying dividends. We have many exciting things happening in 2015. Watch this space for updates throughout the early part of the year. I would like to take this opportunity to thank all our clients (buyers, vendors and renters) past, present and future and wish them a very Happy Christmas and New Year. A special thanks to Brigitte and Etienne for their hard work throughout the year to ensure we have gone from strength to strength and still remain the number one choice for clients, and also to Angela and Angel at AP Abogados whos professionalism and tireless assistance has proven invaluable throughout the year for both ourselves and our clients. So we look back fondly on a record 2014 and look forward to very exciting news in 2015 and the prospects of exceeding all our expectations yet again. During the Christmas period we will close at the end of business on Friday 19th December and reopen on Monday 29th and 30th December. We are closed 31st to 5th December. We will of course be available via email and telephone.